Improve quickly and easily your playing technique this box of 12 Dunlop Progress squash ball. 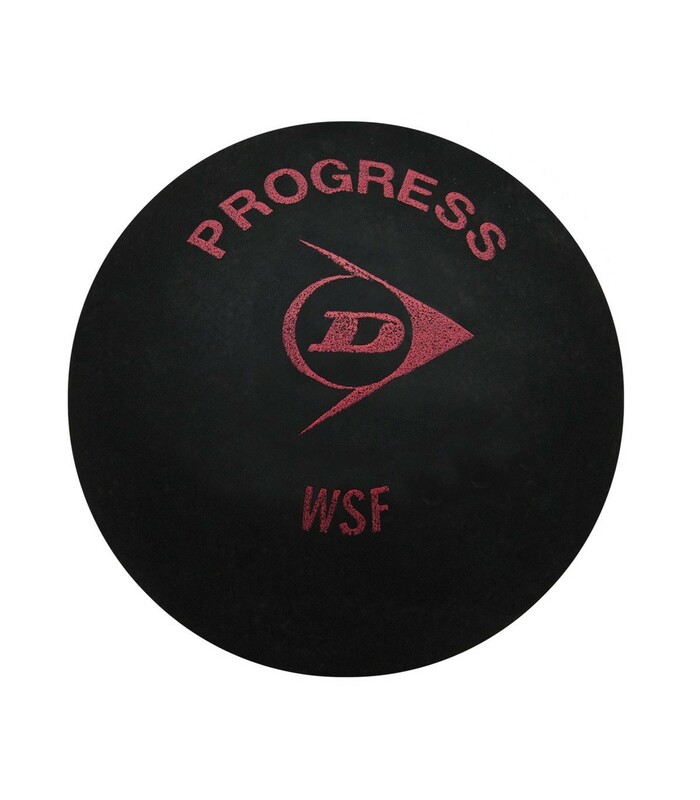 This red dot squash ball, the Dunlop Progress is larger than the classic squash ball and bounces high enough, which is perfect if you want a faster game than with blue dot ball. This red dot squash ball suits perfectly to intermediate players. It is 6% larger than the standard squash ball and has a hang-time 20% superior to the Dunlop Pro ball. This pretty box of 12 Dunlop Progress squash ball is a nice present to offer your friends and family who practice squash. This box of 12 squash ball help casual players or leisure players to progress in their game. 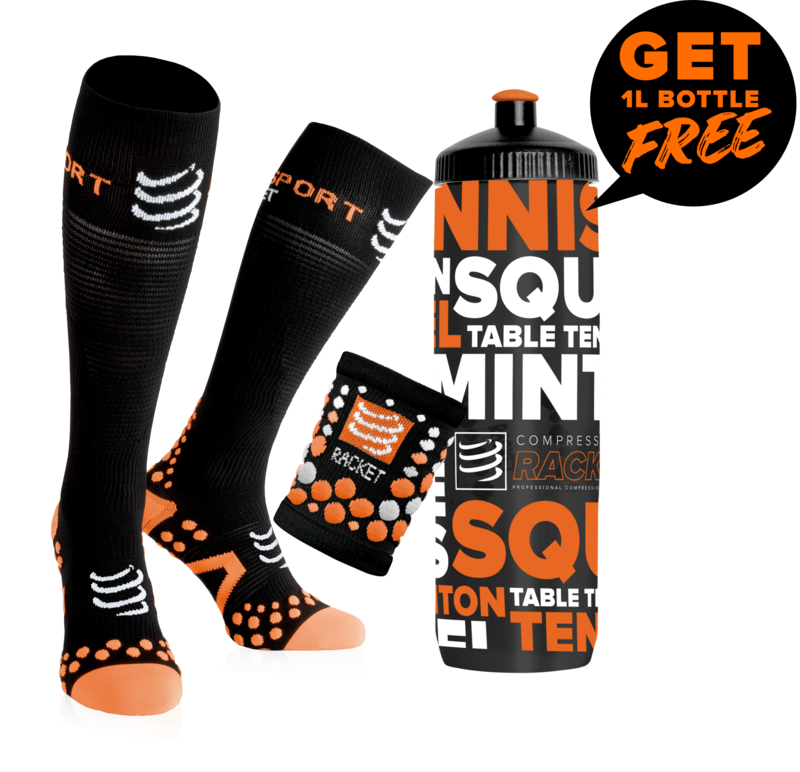 With its fast warm-up time, its wider dimension, and its highest hang time, you’ll be very happy when playing on squash, especially when you see your fast progress. 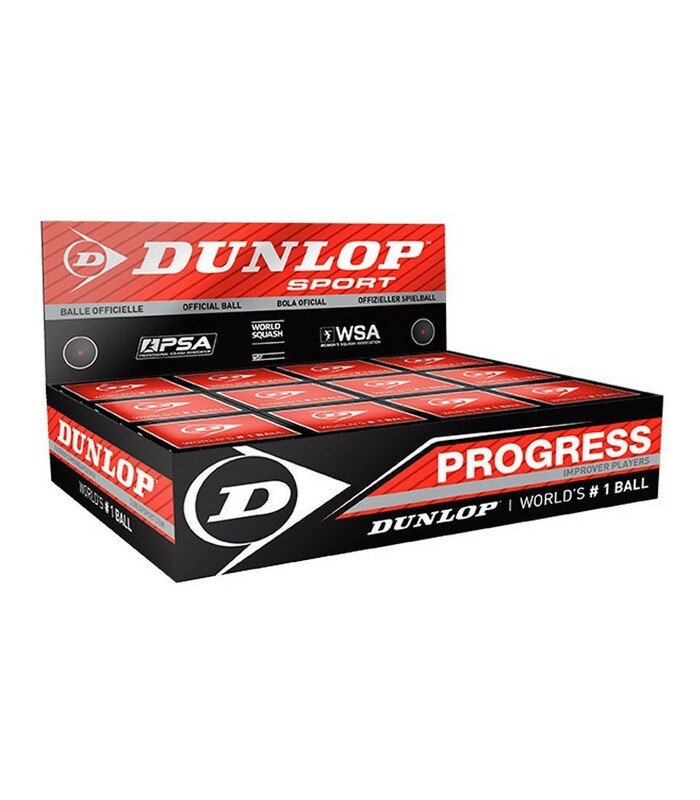 This box of 12 Dunlop Progress squash ball will give you satisfaction: the red dot Dunlop Progress squash balls are faster than the blue dot squash balls: they bring speed and dynamism to your game, and at the same time, they give you some time to perfect your techniques thanks to its relatively high hang time. Intermediate speed for intermediate players. Bounce high enough to quickly and easily improve your game and your techniques. Here's what you get with this box of 12 Dunlop Progress squash balls.